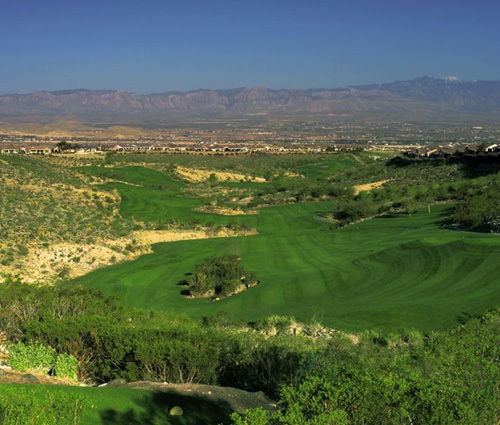 The Revere at Anthem features two championship golf courses designed by architects Billy Casper & Greg Nash. Revere at Anthem golf courses include the Lexington and the Concord. The Lexington is a desert-style course that plays through three canyons. Despite the trio of canyons, the Lexington’s fairways are regarded as open and generous. There are a variety of greens, ranging from large to those with undulation, and also some that are postage-stamp sized. Several fairways at Revere at Anthem golf course necessitate careful play over ample sand bunkers. Concord is the newer of Revere at Anthem’s two courses. Also a desert style course, the Concord plays from 5,306 to 7,034-yards. With wide open, undulating fairways, the Concord can offer some challenging lies. The greens vary in size and there is ample bunkering throughout the layout. Try your swing at Revere at Anthem golf courses next time you are in Las Vegas. Do you want a VIP experience and play at a top golf course like Revere at Anthem in Las Vegas? Contact us and allow us to be your luxury travel concierge source.